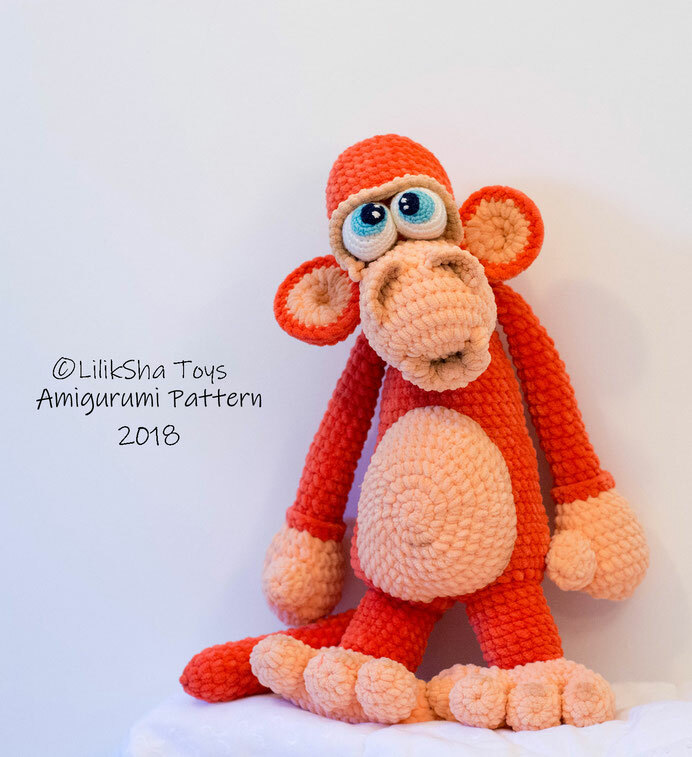 Amigurumi pattern Funny Monkey - Сайт crochettoy! The toy is about 45 cm tall. Yarn to make eyes: acrylic or cotton yarn. color: white (100 gr / 220-240 m) – about 10 gr. black (100 gr / 300 m) – about 5 gr. To make eyes: 2.5 or 2mm. As this toy is made with velvet yarn, it’s impossible to use this yarn to join the items. 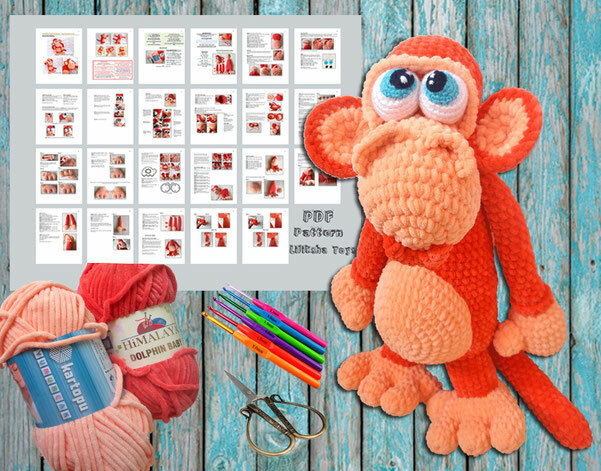 That is why we are going to use acrylic or cotton yarn to join the items. Or if you want you can use strong sewing thread. same colors as used to make the toy.